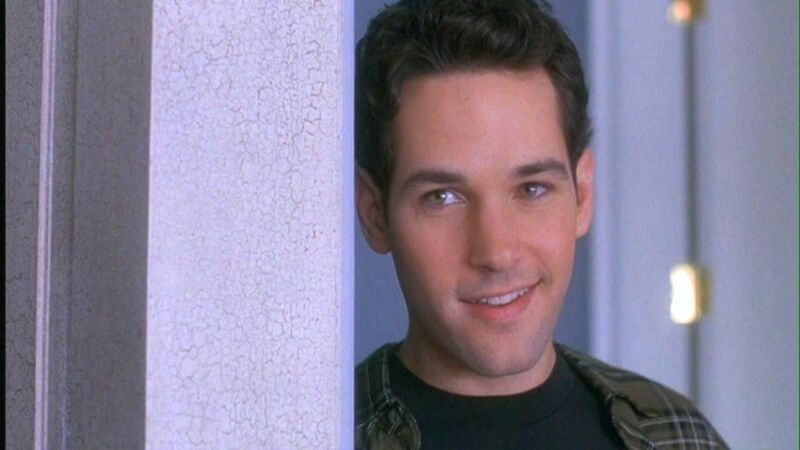 Clueless came out in 1995, and it has become a running joke that Paul Rudd — who will turn 50 on April 6, yes, 50! — simply does not age. The cast of Clueless just reunited for a panel at Chicago’s C2E2 expo. Paul Rudd (Josh) ended up a main attraction, after he arrived a little bit late, sitting next to co-stars Alicia Silverstone (Cher Horowitz), Breckin Meyer (Travis Birkenstock), and Donald Faison (Murray). Paul Rudd’s story continued, and you can watch in a fan’s full video below. Rudd said Stan Lee was excited to see his vision of Ant-Man from the comic book finally play out on screen. Of course, Paul Rudd was partly a focus of attention because there’s so much hype for Avengers: Endgame, and he seems to be a major player in what happens. Ant-Man and the Wasp ended up a key bridge between Infinity War and Endgame with the Quantum Realm factor, and we’ll have to see how it all plays out when Endgame opens April 26. That hugely anticipated movie is just one of the many titles heading to the big screen in 2019.